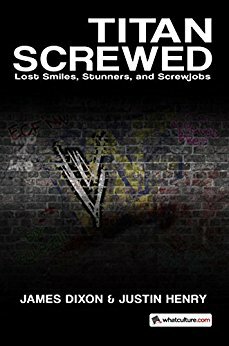 This is an indepth examination of the notorious Montreal screwjob. It contains statements and comments from those directly affected, fitted to an author-constructed narrative timeline. It is well-researched, and covers the point of view of both sides, the events that lead up to it, and a little of the fallout. There are two main problems with the book. The first is that the material has been covered repeatedly, and after twenty years there’s not much more that can be said. The second is that rather than direct interviews the bibliography at the back suggests many of these were cribbed from secondary sources, rather than interviews the author personally conducted, which means many of the things this is based on have already been edited once, reducing its value for research. As with all these books it doesn’t answer the vital question: why Sean Michaels was not substituted with someone Bret would lose to, but the answer to that remains with Vince McMahon. The writing is factual, without flare, and lets the quotes tell the story. This is useful from a timeline point of view, but does make it a sometimes dry read. It wasn’t bad, but there are better wrestling histories out there. I will be honest, I preferred “The Death of WCW” . This book is definitely for wrestling fans and won’t offer much to those without an interest in the business. For a casual reader this will give an overview of events. For the dedicated fan there’s not much here that they won’t have seen before, often from the original sources. Posted in Wrestling and Tagged Wrestling, WWE.